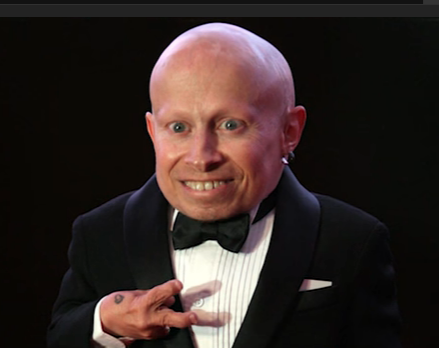 Verne Troyer, the actor best known as ‘Mini Me’ from the Austin Power’s films, has passed away at the age of 49. A statement from Troyer’s family was posted to TMZ, revealing Verne had been taken to the hospital earlier this month and was on life support. He was reportedly drunk and suicidal, and being treated for potential alcohol poisoning. Troyer had struggled with alcoholism in the past, and had been in and out of rehab a number of times. Troyer’s small stature was attributed to being born with the genetic disorder achondroplasia dwarfism. At just 2 feet, 8 inches tall and weighing only 35 pounds, Troyer had stated that his friends and family never treated him any differently because of his size. Verne got his first taste of Hollywood success by landing a few small roles throughout the 90’s, but really gained fame as ‘Mini Me’ in the 1999 release of Austin Power’s ‘The Spy Who Shagged Me’. In lieu of flowers, Troyer’s family have asked that donations be made in Verne’s name to either of his two favorite charities; the Starkey Hearing Foundation and Best Buddies. Allowance in 2018: How Much Should It Be? Get Your Tacos Here, It’s National Taco Day!